The Macayo’s you know and love is famous for its delicious Mexican cuisine and unrivaled hospitality. But what could make your experience at our Scottsdale Macayo’s location even better? How about a few upgrades, additions, and a grand re-opening? That’s exactly what we’ve got planned, and we can’t wait for you to stop in and see it for yourself. In the meantime, here’s a little sneak peak at just a few of the new things you’ll find at our Scottsdale location once we launch our grand re-opening. When you pull up in front of our updated restaurant, you’ll immediately notice that it’s been given a fresh coat of paint and some new, lush landscaping. 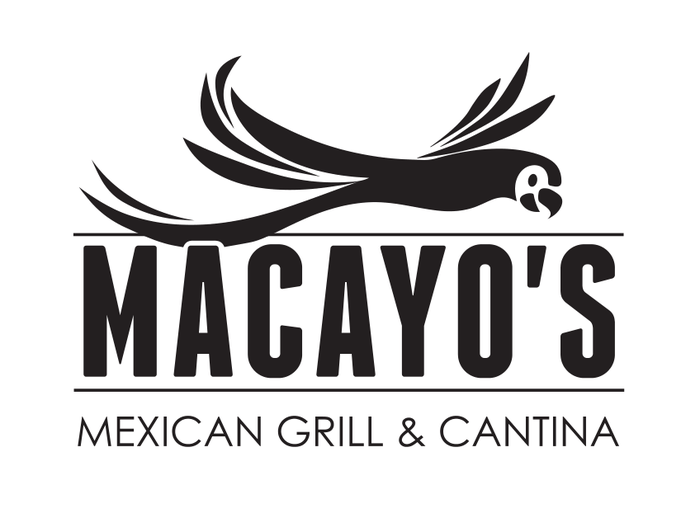 We also have a fun new logo that will be proudly displayed on the side of our building so that when you drive by, you’ll know you’re looking at a Macayo’s! These small changes to our building’s exterior will reflect the vibrance of the interior along with the warmth of our friendly and hospitable staff! Okay, this is something we’re ridiculously excited about. When we re-open, we will actually have dog-friendly patio available to our guests who want to bring man’s best friend along with them to enjoy their dining experience. In total, this location has two patios, so one will be explicitly for guests who want to bring their dogs (or diners without dogs who just like being around them) and one patio for the rest of our diners. We’re excited to give our customers, many of whom are dog lovers, the opportunity to bring their dogs in, mingle with other dogs, and have an all-around great time! Our bar area will also be totally renovated when we launch for our grand re-opening; it will also feature a new Ultra Premium Tequila Window, where you can stop by to order shots of your favorite tequila brands! We’ll still be serving up a variety of tequila at this location, so whether you’re looking for something viejo, blanco, or anything in between, you’ll find it here at our new bar. And of course, we’ll still have a number of impressive cocktails, including margaritas, that you can order from your table or directly at the bar area itself. In addition to converting one of our patios to a dog-friendly patio, both of our outdoor dining spaces will also have a complete makeover. Specifically, you’ll find that they’re adorned with attractive new landscaping, tables, and chairs to enhance your experience when you dine with us. We hope that our new patio spaces will lead you to enjoy your next delicious meal at Macayo’s outdoors, though we invite you to eat wherever you’re comfortable! These are just a few of the biggest changes that you’ll see when we launch for our grand re-opening at our Scottsdale location. To experience everything we’ll have to offer, you’ll really have to stop in at this location and see it all for yourself. We look forward to seeing you there soon!